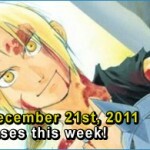 Kuriousity | manga reviews and news » No New Del Rey Titles After November 2010? After checking this months Diamond Previews, I noticed that there were no new solicitations for DelRey manga. All that was listed were reoffered volumes of their previously published Avatar the Last Airbender and Ben10 graphic novel adaptations. When I checked Amazon.ca for a sign of future books, no new titles were listed after November 2010 – a month which sees the final volume of Tsubasa and the brand-new series I Am Here!, as solicited in the previous edition of Diamond Previews. In fact, the only titles past November of this year appear to be a handful of titles curiously now listed for March 2013, such as Night Head Genesis (Vol. 03), Arisa (Vol. 02) and Sayonara Zetsubou-Sensei (Vol.09). The CLAMP in America book by Shaenon K. Garrity remains on schedule, though now delayed again until February 2011. DelRey has been slowing their output lately, while still launching new series and putting out a fair number of titles each month. The recent layoff of marketing manager Ali Kokmen and their declining profile at conventions has had many fans worried about their status. The lack of new solicitations in the major comic distributors monthly catalogue is yet another addition to this uncertain situation. 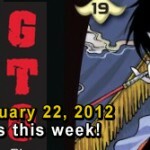 The October 2010 Diamond Previews does include a volume of the Random House distributed Akira (Vol. 05) published by Kodansha Comics, who operate separately from DelRey Manga. Kodansha Comics’ current offerings are reprinted versions of Dark Horse’s translations of Akira and the Ghost in the Shell graphic novels. Akira (Vol. 06) appears on Amazon.ca as an April 2011 release. Kodansha USA, under which the fairly recently emerged Kodansha Comics is an imprint, has a panel scheduled at the upcoming NYAF convention, it’s possible some of our questions regarding the status of DelRey titles and the future of Kodansha’s manga licensing plans in North America may be answered there. Please keep in mind that until official word about the situation emerges, the following is entirely speculation. It could be that DelRey simply had no titles to offer for that month, and are taking time off from publication to work out a different release schedule. Or, it might be that Kodansha has decided to suspend licenses and have different plans for their titles, similar to how they rescinded Tokyopop’s also popular Kodansha licenses in the recent past. With Del Rey handling a few of Tokyopop’s unfinished series like Samurai Deeper Kyo and Rave Master’s final volumes, one wonders who will finish DelRey’s unfinished and ongoing titles like I Am Here!, xxxHolic and Negima should they stop. Del Rey has published a lot of fan favourites over the years, from the still bestselling Negima, xxxHolic and Tsubasa in addition to some excellent original works, such as the cult original-story Yokaiden and an endearing shojo manga take on Marvel’s X-men franchise. They took chances on some more offbeat choices, though their manga line primarily depended on Kodansha for their manga licenses. Some of their titles appeared to be doing successfully too, with those like Tsubasa and Negima regularly appearing on the New York Times bestselling manga list, and surprise hits like Kitchen Princess showing up as well. DelRey has always kept a fairly standardized approach to all their releases, with each volume receiving translation notes, and were among the earlier manga publishers to attempt omnibus editions as a means of making the publication of less popular titles more feasible (and appeared to be approaching more titles in this format with their current releases). Since the line’s launch, they’ve been a standard part of the manga landscape, and seemed poised to survive the shake-ups that closed smaller manga publishers. One hopes the situation will sort itself out, and that their excellent group of freelancers and editorial team members manage the storm well. It appears we’ll have to wait and see exactly what connotations this lack of solicitations has on the future of manga and DelRey’s publishing plans. 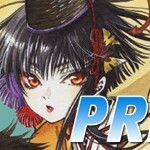 Given their existing original graphic novel line and their extensive manga catalogue, as well as their recently refurbished website still highlighting “graphic novels and manga“, it appears for the time being, comics are still part of their product line – what that means exactly for their future manga line-up however, and the meaning these lack of solicitations could have, will remain unclear for the time being. Just more food for thought. Edit: Corrections made within post in regards to relationships of Kodansha companies. Thanks to Vertical‘s Ed Chavez for the clarification. Graphic novel artist , Nina Matsumoto, whose work Yokaiden has been published by Del Rey, notes on her Twitter that she doesn’t known when or if volume three of her original series will be released. André is a long time comics and animation fan who draws assorted webcomics like Jeepers, and designed the mascots for the Maritime provinces' anime convention, Animaritime. He has a scary anime collection including about 900 dvd’s and tapes, and has been reading comics for 15 years. Somewhere in there he got an English degree, but spend most of my time now reading comics and fantasy novels. He's a fan of cheesy anime, Disney, X-men stuff, Transformers, and CLAMP. Hmmm… We've seen this already, what, 2 times? With both Go Comi & Aurora Publishing. I'm pretty sure their comic division is going under. I hope someone can prove me wrong! For those of you who have heard Del Rey will be having a panel at NYCC/NYAF, the reason I opted not to mention it is that according the NYCC's description, it appears to be for Del Rey/Spectra's prose line. As such, no Del Rey manga employees appear to be in attendance at it. I really hope they pull through–Del Rey Manga publishes some of my favorite series, like Mushishi. I am worried about them though, especially seeing as they don't have a devoted website anymore. Suvudu is basically Random House's genre website/blog and contains little or no product information. My guess is that Del Rey Manga may be merging or being absorbed into Kodansha USA. I wouldn't be surprised if Kodansha announced this at their panel. It seems like Del Rey is getting out of the manga-licensing biz to focus on American properties: tie-ins with Cartoon Network shows, adaptations of popular novels, and so forth. The best selling titles in Del Rey's 2009 catalog — at least according to BookScan — were the Ben 10 and Bakugan Battle Brawlers books, outperforming Tsubasa and Negima! pretty handily. Phoenix- Del Rey did finish off Mushishi recently, they compiled vol.8/9/10 in a nifty omnibus, which everyone should run out and get ASAP. I wish they'd committed to such a move before they picked up Moyasimon. if thye move out of manga Licensingdoes this mean that titles are just gonna be lost like what happened to Yatsuba &! before Yen Press picked it up? Considering Del Rey had 9 books in the September Previews (November releases), maybe they didn't want to load up the October Previews with more books at the end of the year? That is a pretty big slate for the holidays. At any rate, they're probably just cutting back a little, but I wouldn't rule Del Rey out of the game. Del Rey is definitely going through a reworking of sorts but hopefully one for the best. Their move to omnibus format is a pretty big change especially when it's for so many previously going series – better than not getting them though, that's for sure! Admittedly I was starting to get worried the omnibus editions were just last ditch attempts to make the money back on licensing fees for those particular volumes already licensed before stopping altogether. I will be quite relieved to learn for sure it was just paranoia based on concern for losing another quality publisher. My biggest concern though is that horrible Suvudu website – it's so difficult to navigate even for the content clearly visible and it does nothing as an actual publisher site. It's worrisome when a company completely removes their own website and finding information on them is so hard. We're still getting over the backhand-slap delivered by CMX's obliteration after all. I started to wonder what was going on a few weeks ago when I noticed the date changes on Amazon. As you probably noticed, the book can no longer be searched for on the site and you can only access them by the url with their ISBN. Those pages show the red notice "Sign up to be notified when this item becomes available." When I see this come up I find it very often means it might be canceled, it now has questionable status, or there is to be some drastic rescheduling. There are exceptions, such as Vertical's volume 5 of Chi's Sweet Home. This has happened a couple of times now on Amazon as the author's name keeps switching on this particular volume. I also wouldn't be surprised if Vertical try's to change the scheduling a bit. A new volume every two months for something that is only released once a year in Japan is lightening fast, considering there are currently only 7 volumes. Either way it doesn't seem to be an issue as none of their other 2011 releases have been affected. With that in mind, this also rules out my first reaction to Del Rey's changes as a glitch on Amazon. It's really too bad as I've also watched them slowly space out several series from 4 a year to 3. The most drastic change I saw them making was the planned release schedule of Moyasimon. I'm not talking about the first volume as that was understandable for a recall and reprint. But if you watched the dates for 2 and 3, it started as scheduled for 4 a year, then 3, then every 6 months, and then finally to about once a year. That didn't surprise me as that model has been used for similar situations where manga either are or have now fallen into obscurity, such as Viz's Excel Saga. But with the new 2013 release date, I have my doubts. It will be interesting what Del Rey has to say in the following months. From my understanding, Moyashimon's delays were due to translation issues with the first volume that they sought to fix in the 2nd, forcing them to have to reschedule it. Given both them and Kodansha USA have panels at NYAF next week, we'll hopefully be finding out some information soon.